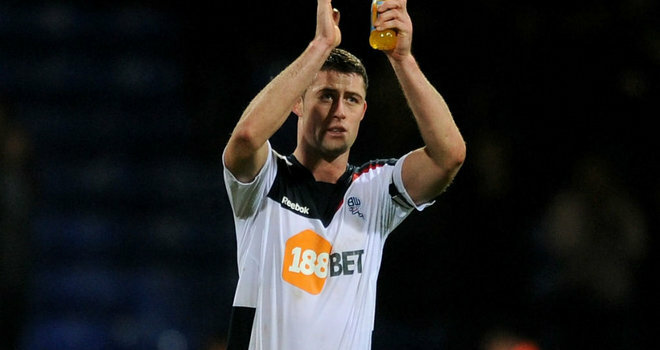 Chelsea are close to applying the finishing touches to Bolton defender Gary Cahill's £7m move to Stamford Bridge. The Blues have been in talks with the England centre back and his team of representatives since agreeing a fee for him with Bolton at the end of last month. Chelsea boss Andre Villas-Boas suggested earlier this month that the two parties were 'miles apart' in reaching an agreement over his personal terms, which alerted a number of other clubs. Tottenham and Manchester United have both been linked with moves for Cahill in the last few days but talks are understood to have progressed well since the weekend and the 25-year-old could complete his move to west London in the next 24 hours. Villas-Boas is also weighing up whether to add one further player to his squad during the January transfer window after allowing Nicolas Anelka to move to China.